Alimony, spousal support or spousal maintenance comes down to one spouse making payments to another to maintain a standard of living the court judges to be appropriate. A married spouse can petition the New York Family Court to order spousal support; if a couple is separating or divorcing, the New York Supreme Court will consider spousal support as part of the marital action. Spousal support can be for a set number of years, or an indefinite period. It is gender neutral, though occasions are few when the court orders the wife to pay the husband. Jean M. Mahserjian, Esq., P.C. has counseled clients through detailed and contentious spousal support negotiations and litigation for more than 20 years. Our Saratoga County family law firm provides thorough representation to married, separated or divorced spouses in actions regarding spousal support, modifications and terminations. The complexity of many of these factors, and the court’s license to consider “any other factor” it finds “just and proper,” argues strongly for knowledgeable and experienced legal counsel on your side protecting your interests. Jean M. Mahserjian, Esq., P.C. has handled many complex and high-net-worth divorce actions where spousal support was vigorously litigated. 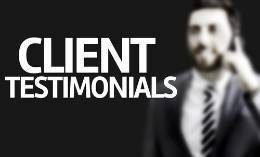 Our meticulous approach to asset valuation as well as our aptitude for the mathematics inherent in support negotiations has helped us be very successful on behalf of our clients. 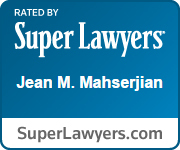 To speak with a knowledgeable lawyer at Jean M. Mahserjian, Esq., P.C., call us at (518) 383-1182. We will be happy to answer your questions and schedule an initial appointment at our Clifton Park office. You can also schedule an appointment by contacting us online.